60 Units of Wholesale 2x belt white w/stars - Belts at low wholesale prices. alltimetrading.com offers Belts at bulk discounted prices. 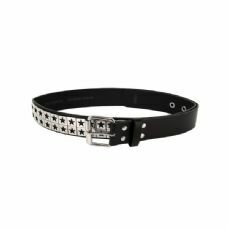 A fun fashion accessory for men or women, this 2XL 1.5 White Star-Studded Belt is a real attention getter. 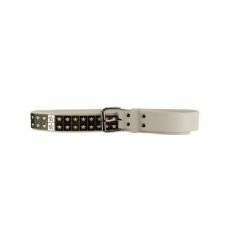 Faux leather belt is embellished with silver tone and antiqued brass star cutout rivet studs. Measures approximately 52 x 1.5 x 0.125. Comes loose with a UPC tag.